Size: approx. 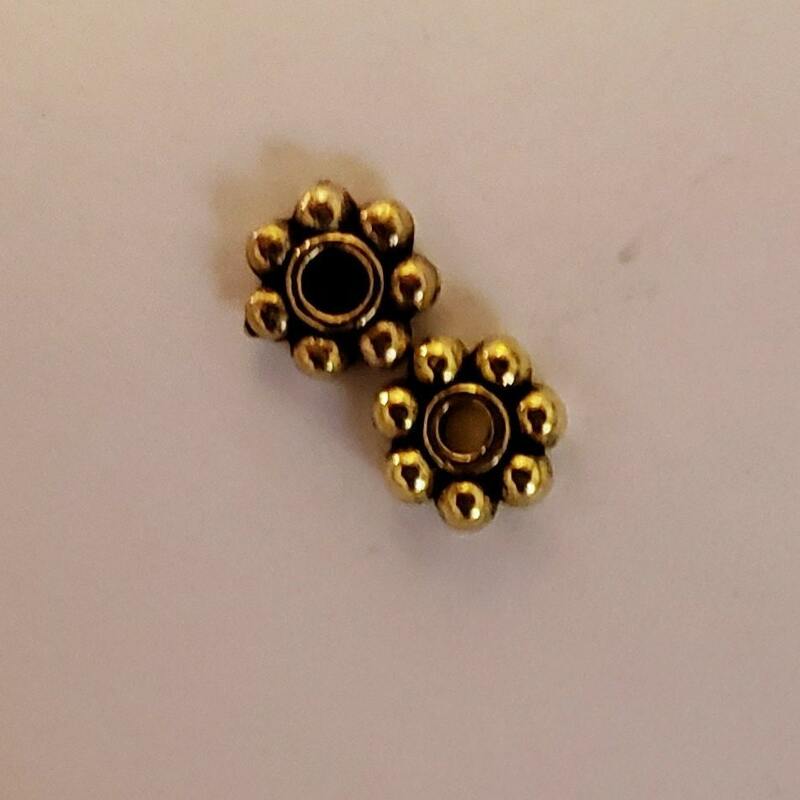 6mm in diameter, 2mm thick, hole: 1.5mm approx. Antiqued Tibetian Gold Daisy Spacers for earrings, pendants, necklace, bracelet, belts and home decoration. Tibetan gold spacer beads, Lead Free & Cadmium Free & Nickel Free, Antique Silver, Spacer.